This statement is inspiring and powerful, but here is an important insight that could easily be missed in reading it. The insight is that it’s easy for us to read it, be in awe of his courage, talk about him to others, believe in his witness, etc…but not take one step closer to making this same faith and courage our own. It’s easy to talk about the great saints and to be inspired by them. But it’s very difficult to actually imitate them. Think about your own life in the light of the Gospel passage from today. Do you freely, openly and fully acknowledge Jesus as your Lord and God before others? You do not have to go around being an “in-your-face” sort of Christian. But you do have to easily, freely, transparently and completely allow your faith and love of God shine forth, especially when it’s uncomfortable and difficult. Do you hesitate in doing this? Most likely you do. Most likely all Christians do. For that reason, St. Ignatius and the other martyrs are great examples for us. But if they only remain examples, then their example is not enough. We must live their witness and become the next St. Ignatius in the witness God calls us to live. Reflect, today, upon whether you are only inspired by the martyrs or if you actually imitate them. If it’s the former, pray that their inspiring witness effects a powerful change in your life. 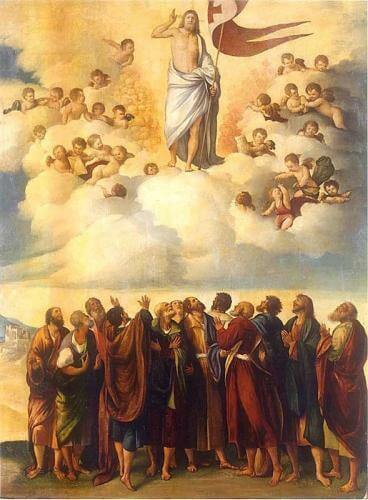 Lord, thank You for the witness of the great saints, especially the martyrs. May their witness enable me to live a life of holy faith in imitation of each one of them. I choose You, dear Lord, and acknowledge You, this day, before the world and above all else. Give me the grace to live this witness with courage. Jesus, I trust in You.